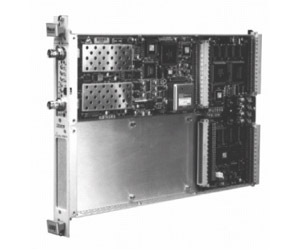 The model 2461C is a high performance, 2- or 4- channel, universal 200MHz counter occupying a single C-size VXIbus slot. The module offers eleven automatic measurement functions, including phase, pulse, peak, rise/fall time, time interval and ratio measurement, all with extremely high resolution. For maximum versatility, the counter includes one low pass filter per input channel, each with selectable hysteresis.